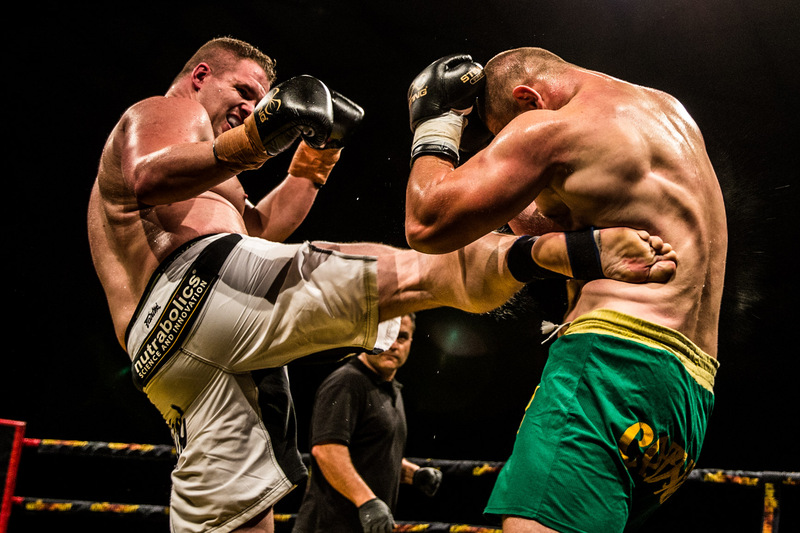 An Australian national heavyweight boxing champion and three-time world kickboxing champion will make his cage-fighting debut in Canberra next month. 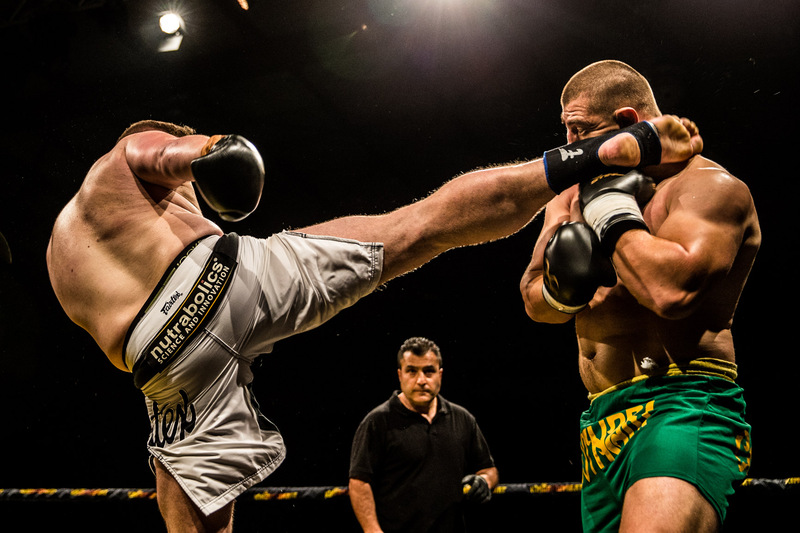 Mixed Martial Arts (MMA) fans round the globe will be watching when Ben ‘The Guvnor’ Edwards makes the transition to MMA with a debut fight at Canberra’s Rex Hotel on July 15. 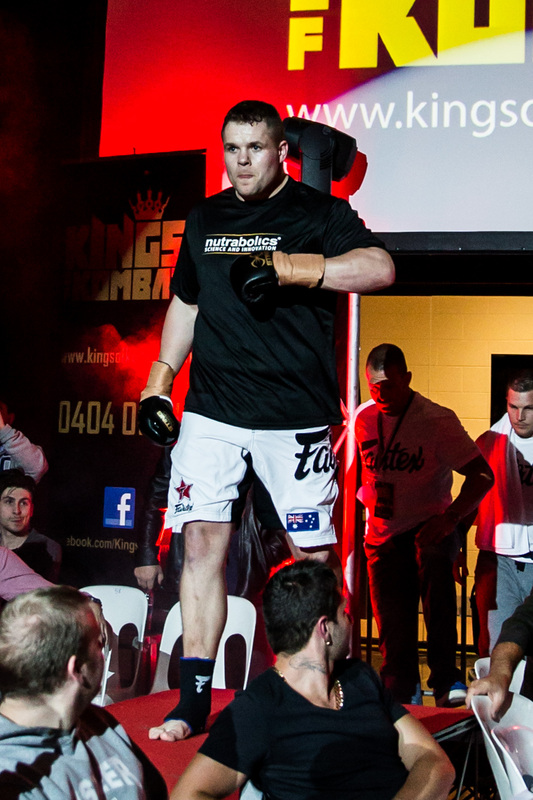 Known as the ‘Canberra-based KO specialist’, Edwards has fought to overcome a ‘personal battle’ over the past two years and is now ready to return to fighting and to make his debut in MMA. Edwards, now 33 years, said he wrestled with a prescription drug problem, was addicted to Oxycontin and was messing around with morphine. He said he initially started taking Oxycontin, especially after overseas fights, as it helped with pain management on a 36-hour flight home. Then it got out of control. “My last two fights, I was just a mess. I wasn’t focused. I was a shell of my former self,” Edwards said. In an attempt to help him ‘get off’ Oxycontin, his ex-girlfriend at the time locked him up for a week in her house. “That was the worst week of my life. Coming off it,” he said. Edwards said he never gave up on himself and became honest with everyone. “[I] just stayed positive and surrounded myself with good people and good things happened,” he said. Ben has a long sporting history. At 12 years of age, he made the Canberra Raiders Juniors rugby league team and started boxing and kickboxing as cross training for his football. His promising rugby league career started in the Canberra Raiders U16 and U18 representative teams. By the time he was 17 he was playing first grade in Queanbeyan Blues. Ben said he struggled as a teenager with self-confidence issues. “That’s where fighting gave me confidence, just confidence in myself. Self-esteem. It not only became what I did but a huge part of me as well,” said Edwards. Ben started training kickboxing with the late John Verran. He was 19 years old and lived in a granny flat at the back of the gym where he trained. 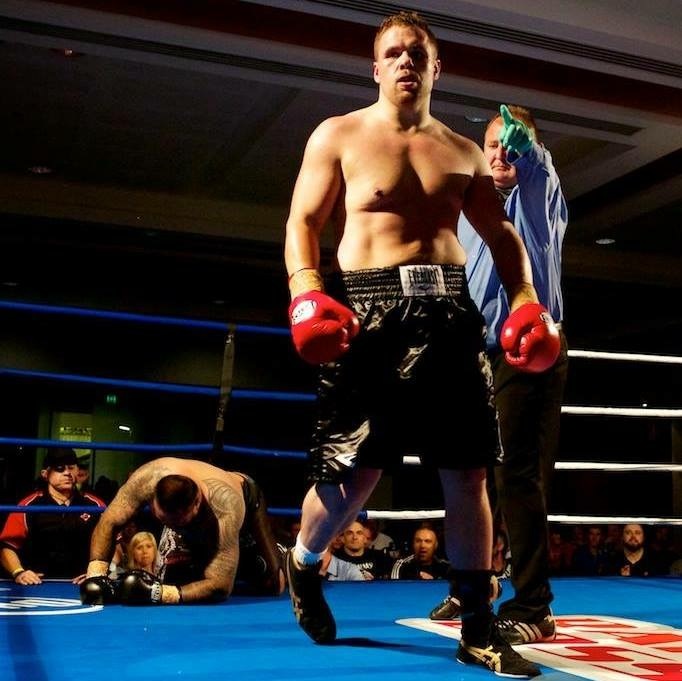 In 2004, Edwards made his kickboxing debut at the Italo Club and three years later his boxing debut at the Erindale Vikings Club. Edwards said one his most special times in the ring was when he won his first ISKA world title fight in 2009. Six weeks before his first ISKA world title fight and one day before his birthday, tragedy hit when his trainer, John Verran, died. Verran was very much a father figure to me. “His passing away was obviously a devastating blow for all of us,” said Edwards. Ben said his first ISKA world title fight then became an emotionally-charged tribute to his late trainer – it was ‘life and death’ to win. “[There are] some really nice photos where I knocked the dude out. I’m crying and looking up to the sky,” he said. Edwards arranged with the promoter to give proceeds from that game to support Verran’s young family. They raised over fifty thousand dollars. Ben has now won three world ISKA kickboxing titles and knocked out all three opponents in the first round. “I had a big win at Madison Square Gardens in 2013 and that pulled me up to number four in the world,” Edwards said. MMA is a blend of boxing, kickboxing, wrestling and jujitsu. In its early days, it had limited rules and was described as ‘human cockfighting’. However, today with rules and regulations, fighter safety is paramount. It has become one of the fastest growing professional sports internationally. Ben ‘The Guvnor’ Edwards was initially listed to fight Brandon ‘Zilla’ Sosoli on Saturday 17 June. However, according to Edwards, Sosoli is still recovering from an injury and the fight is now rescheduled to 15 July at the Rex Hotel Canberra. Sosoli is currently ranked with six wins and four losses, with a total of 18 MMA fights, including his eight amateur fights. Edwards is currently unranked as an MMA fighter. Edwards said his upcoming MMA debut would be his first official MMA fight under UFC rules and admits he has definitely picked a hard fight. “I’m a really good athlete. I know what I can do and there are not many other big men that can do what I can do. I’m very confident going into the fight,” Edwards said. According to Tapology.com, Brandon ‘Zilla’ Sosoli is the strong favourite with a 78 per cent chance to win. But Edwards declared he has a strong history as a fighter and warned not to be deceived by the stats. “None of that means anything, man. He could have a one hundred per cent chance to win but it’s big guys and little gloves. So anything can change in a heartbeat,” said Edwards. “I’ve knocked out 40 men in 10-ounce gloves. Now I’m going to be wearing four-ounce gloves. You do the maths,” he said. Edwards advised spectators not to look away from the fight, even for a moment. “The beautiful thing about heavyweight fighting, it can go one way or the other and everything can change in the blink of an eye,” he said. Under UFC rules this fight will be three x five-minute rounds with a one-minute break between rounds. “If you like fighting and you like the holy-s**t factor. That’s exactly what I bring,” said Edwards. “This is only the beginning mate. I’ve got a lot to prove to myself and everyone else and I’m looking to make a big statement in the MMA world,” he said. Main Event: Ben Edwards vs Brandon Sosoli, MMA 3 x 5-minute rounds Heavyweight Division. What do you enjoy most about MMA? Let us know what you think in the comments below. Photos 1, 4: supplied by Ben Edwards; Photos 2, 3, 5: Abe Ricefield | Ricefield Photography. Used with permission. The implied and applied violence of this “sport” horrifies me. Nothing “beautiful” about it at all.